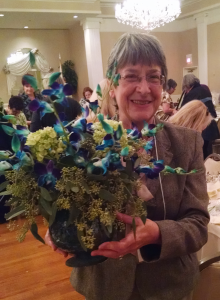 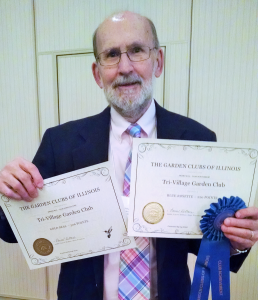 The Garden Clubs of Illnois District II had their annual luncheon on March 18, 2016. 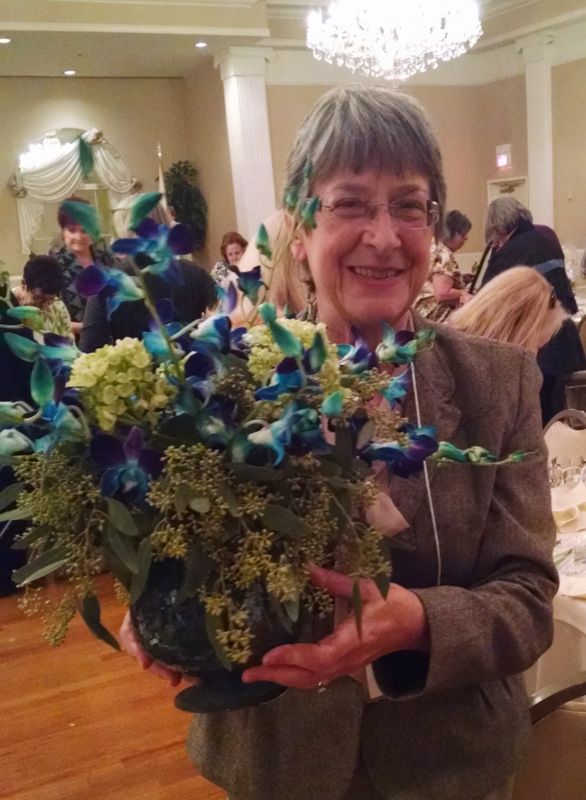 Nine of our members were able to attend this event, Kathy Christie, Kathleen Eddy, Linda and Wally Groble, Jane Johnson, Eileen Lucietto, Sue Stocks, Sue Wells, and Janice Zastrow. Our club received 2 of the highest awards and several of our members walked away with one of the raffle prizes as well as a couple flower arrangements. 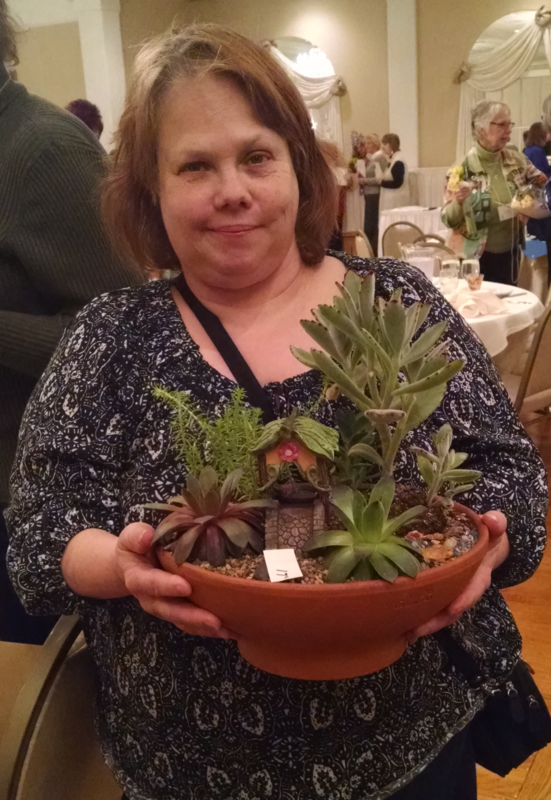 Kathy Christie won this beautiful succulent dish garden. 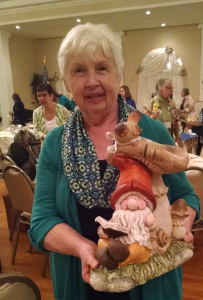 Jane won this adorable gnome garden statue. 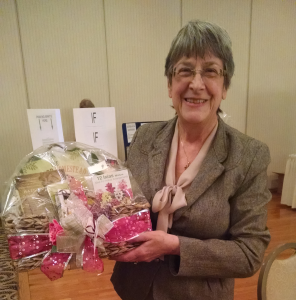 Eileen hit the jackpot and won one of the raffle prizes as well as one of the beautiful floral arrangements that was made by the speaker. 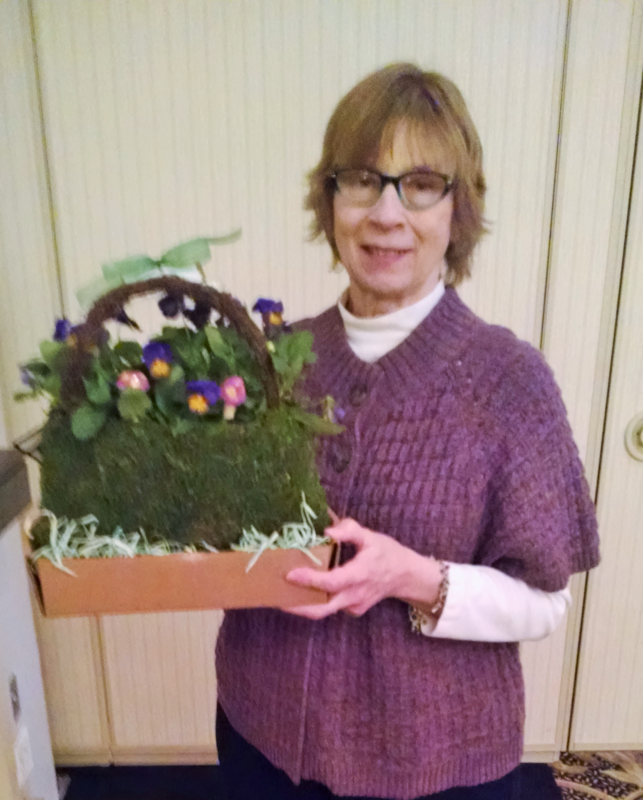 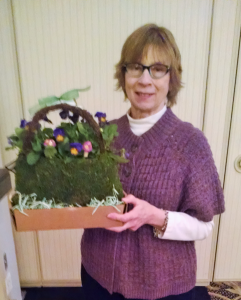 Wally and Linda won this moss purse planter.